Whether you’re in the market for an ultra-organised PA, a secretary with demon typing speeds, or an experienced finance manager to keep the numbers in check, we know how important it is to recruit the right team. Finding the perfect office professional to suit your company culture; someone that’s eager to learn and willing to grow; someone that will make your business a better place to work becomes a lot easier when you’ve got us on your side. We work with candidates as individuals to place them in the right role, resulting in a long term commitment to you. Always going one step further to ensure we have a detailed understanding of your staffing vacancies, your business, your culture and your work environment, we will always bring the brightest business support talent to your door. 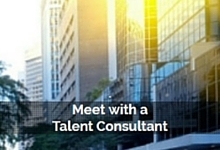 When you partner with us, we offer a dedicated, single point of contact who will work with you and connect you with the most talented and efficient candidates - we are passionate about matching the best person to your business. Are you looking for someone special? 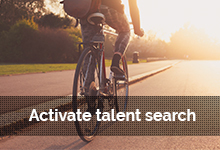 Contact Talent Options to source and attract your next game changer. Contact one of our office support Talent Consultants below or call us on 1300 177 599. For further information or a discreet and confidential discussion, please contact one of our consultants.